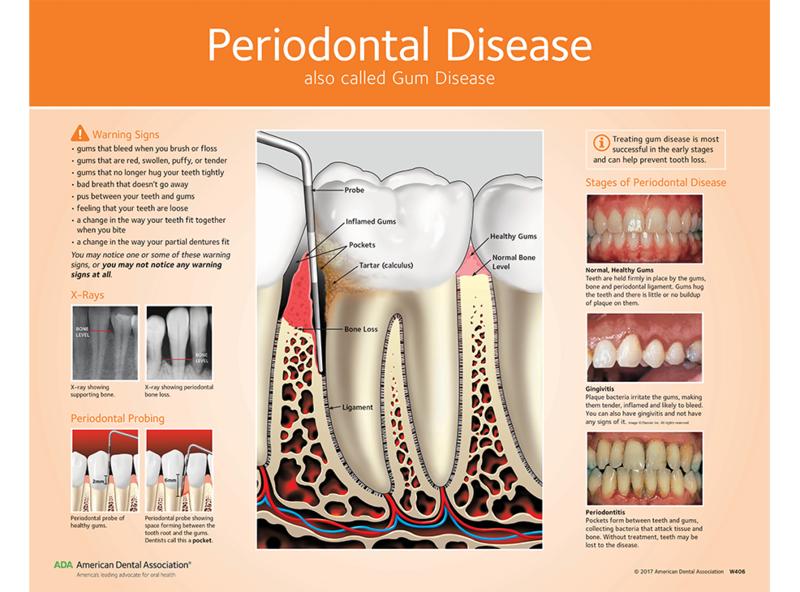 Show the damaging effects of periodontal disease at a glance with our colorful laminated wall chart. Bone loss radiographs combined with probing illustrations and our classic "stages of periodontal disease" photos tell the story. Warning signs are also listed. Comes with hanging supplies. 16" x 20".